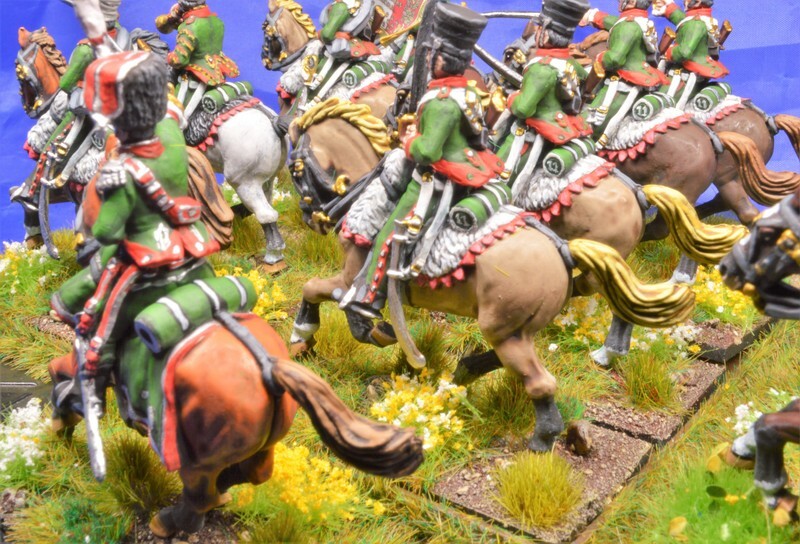 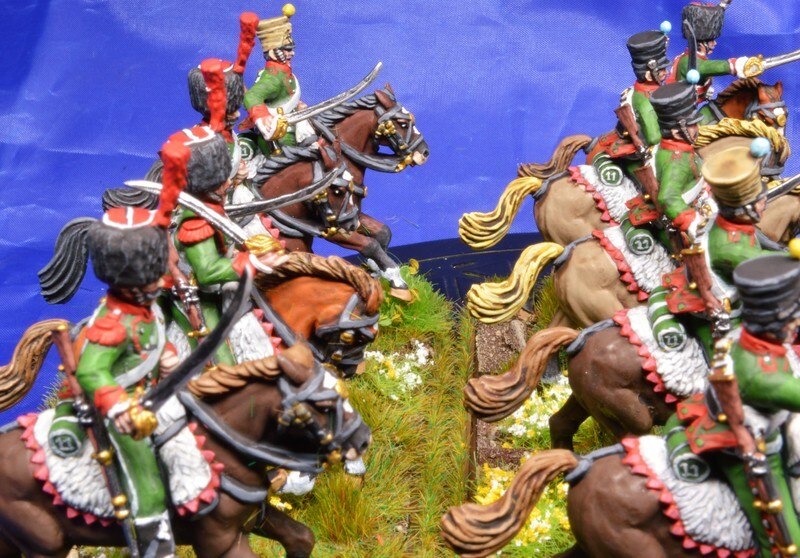 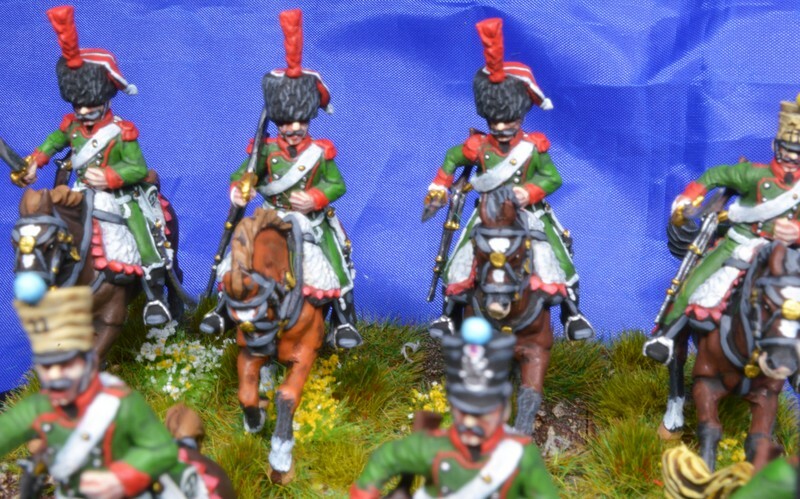 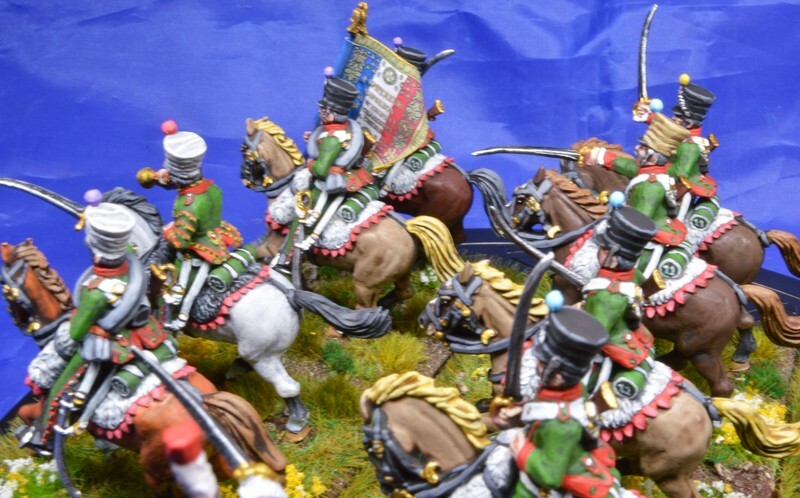 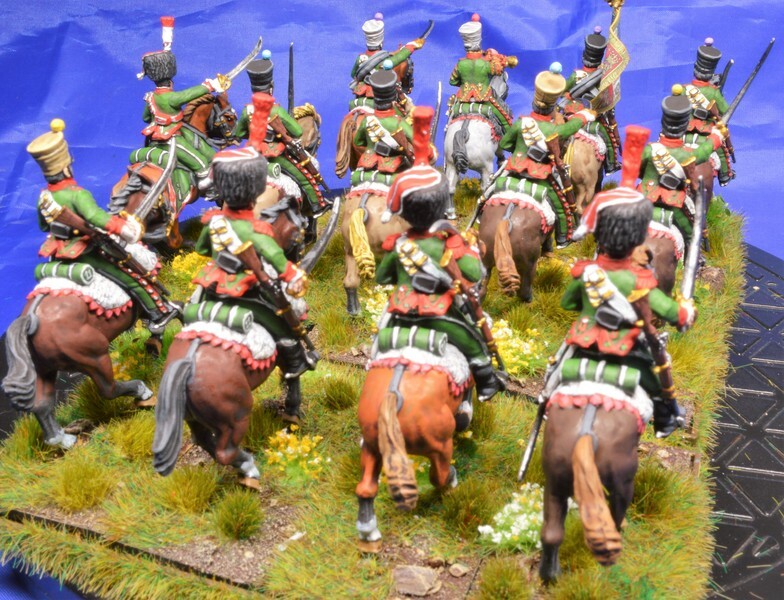 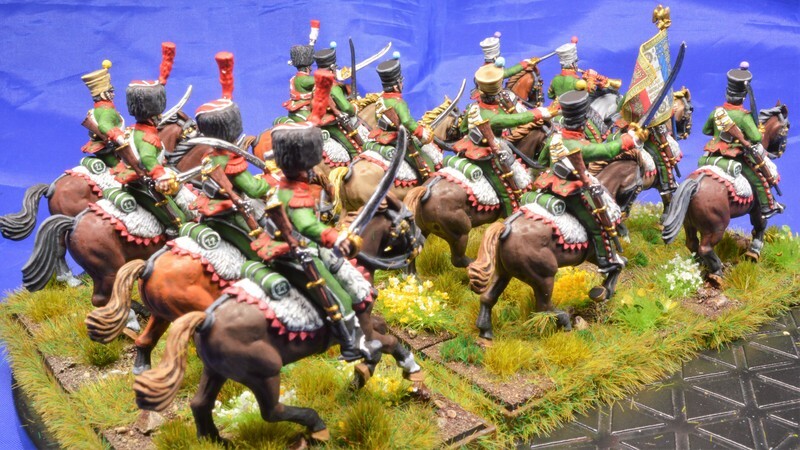 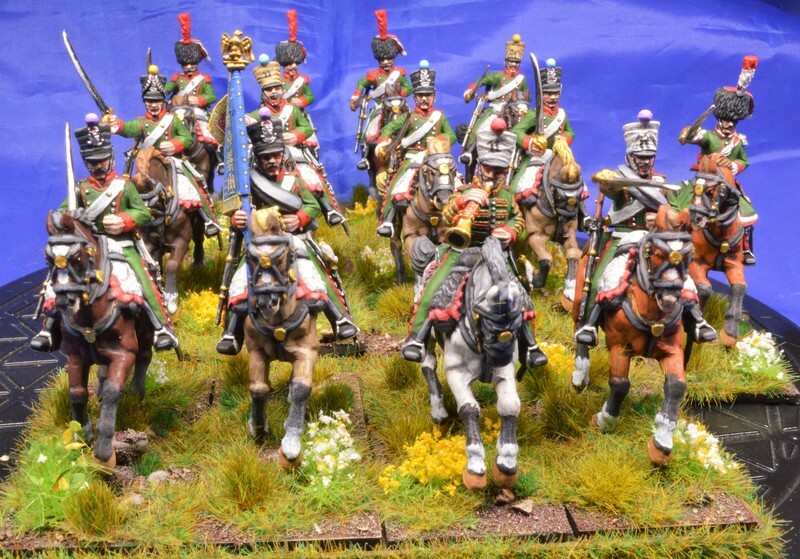 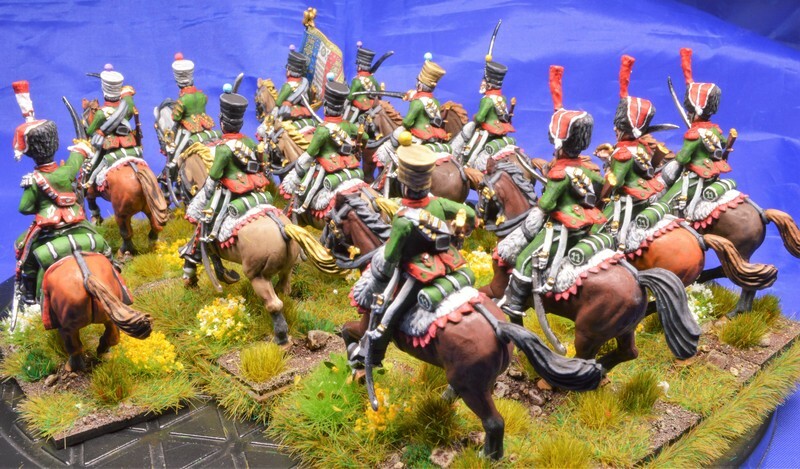 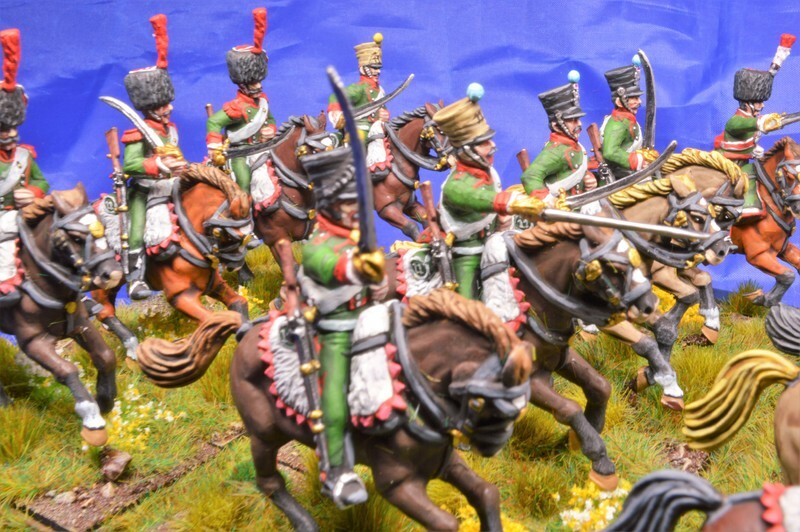 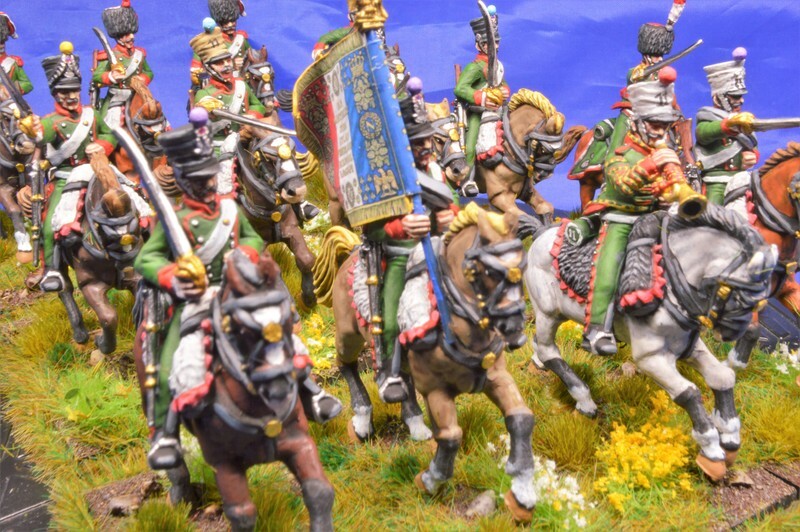 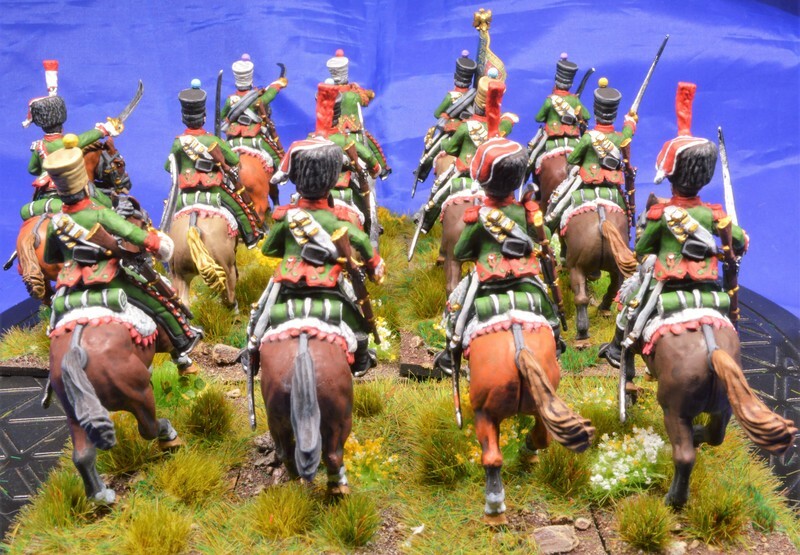 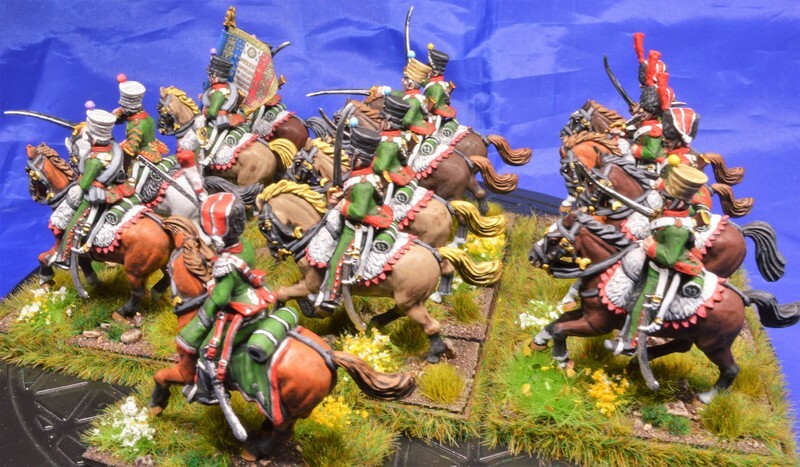 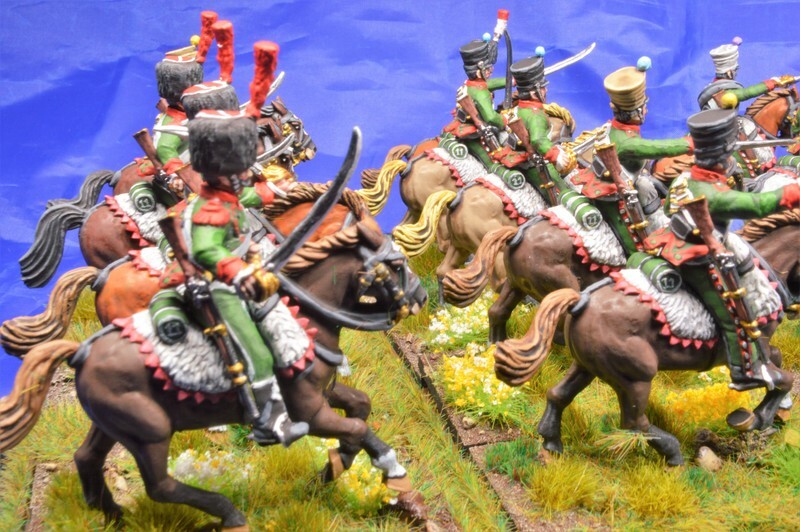 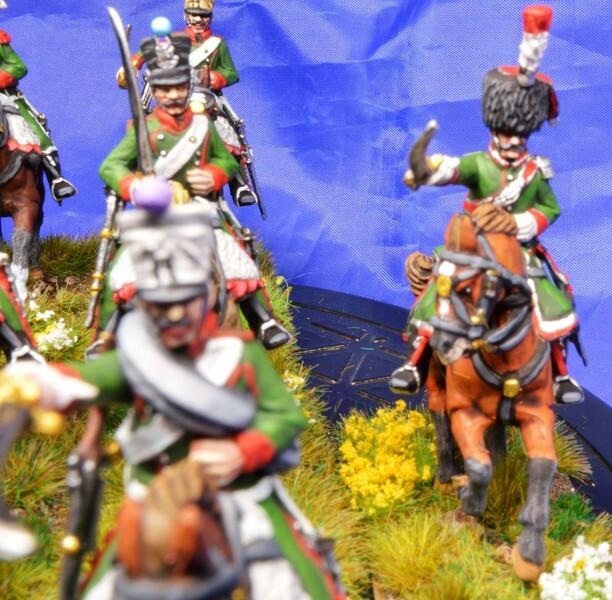 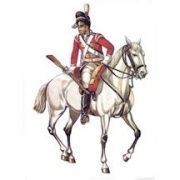 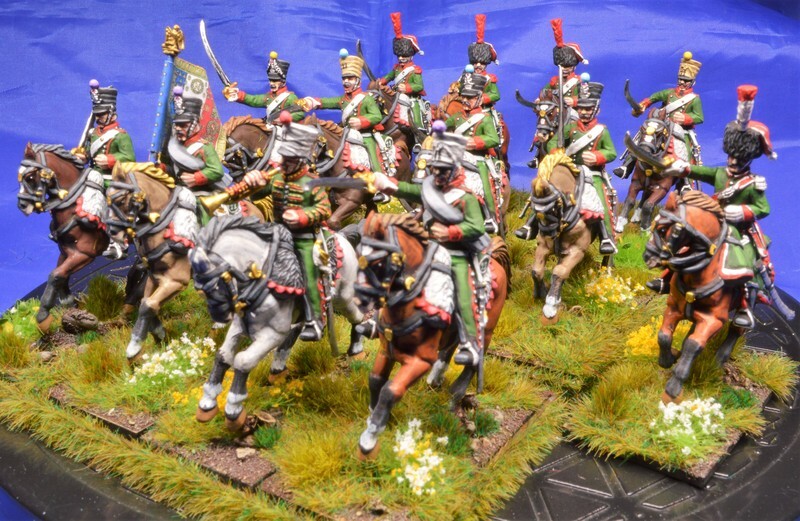 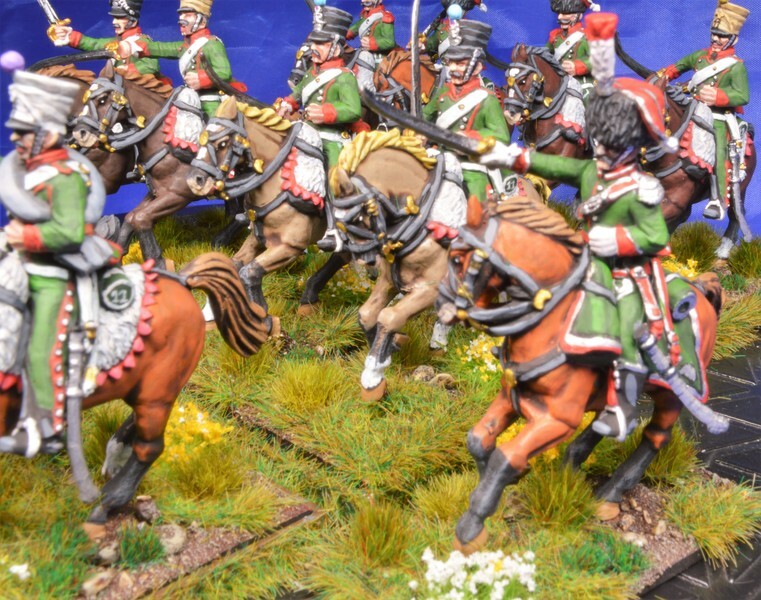 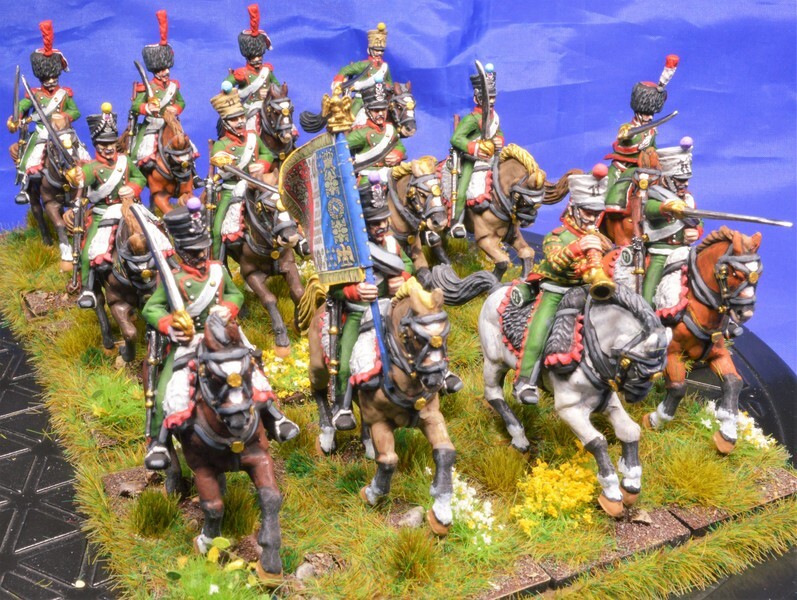 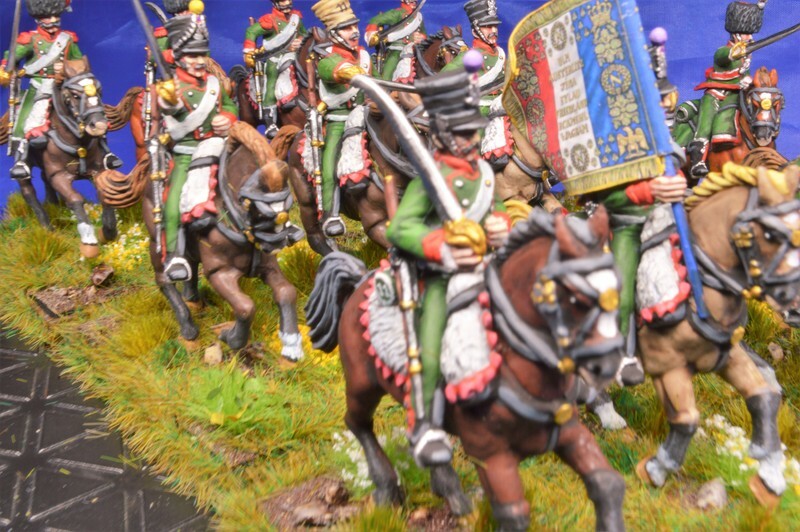 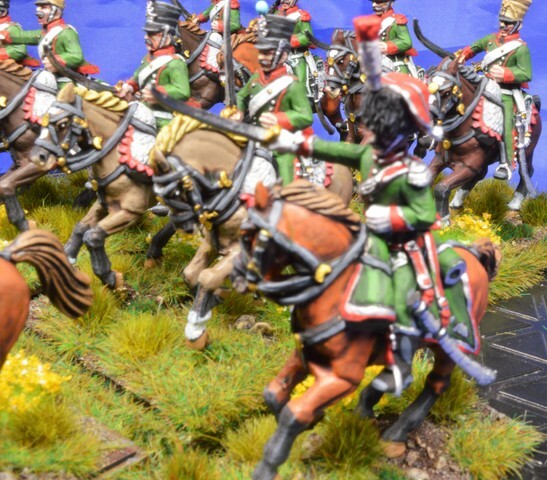 These are 28mm Plastic Perry French Chasseurs a Cheval painted to represent the 11th Regiment. 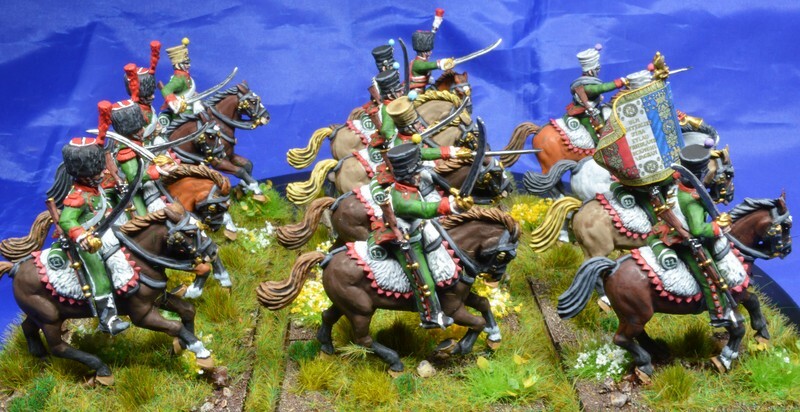 I have used Vallejo paints on these. 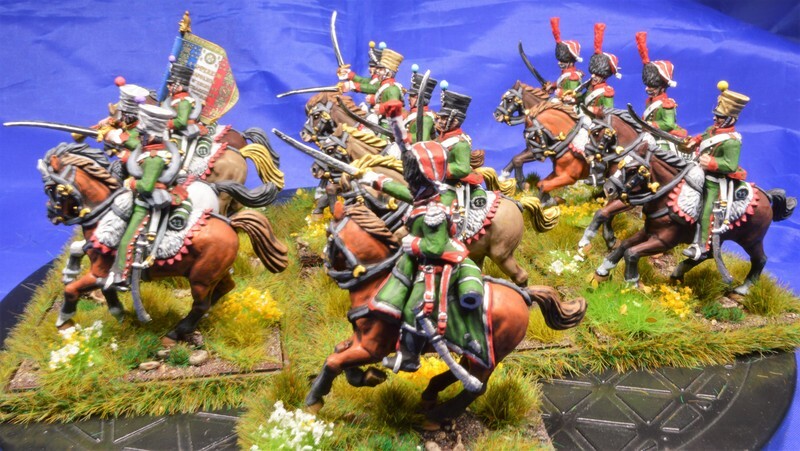 This is a really wonderful job! 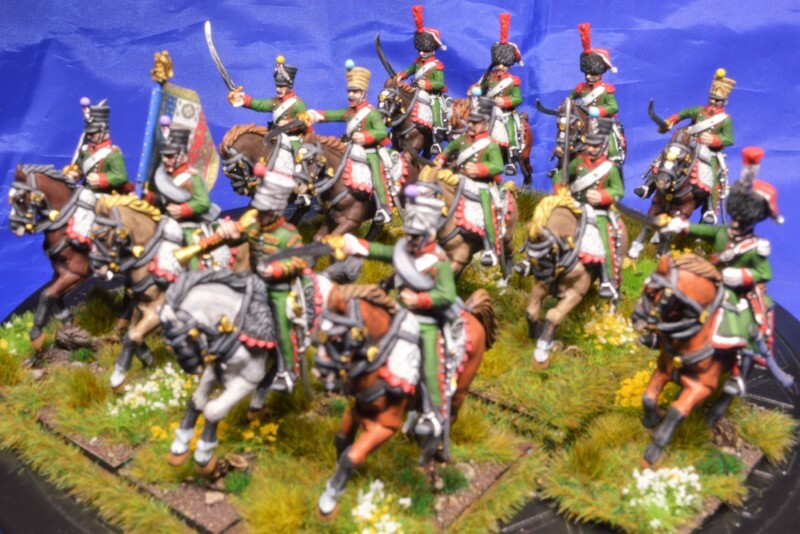 Great work on these and wonderful horses! 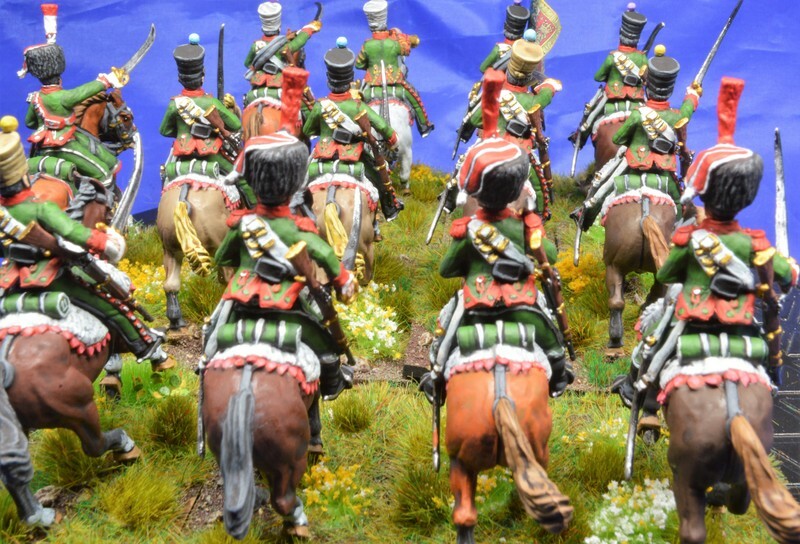 Great work Gerry as always. 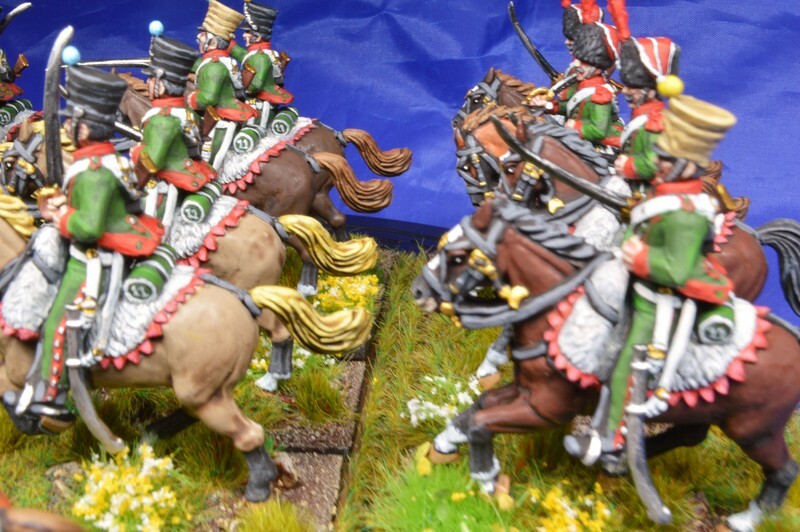 My research, whilst a little contradictory suggests black strapping on the valises which was Pain as mine were initially white too. 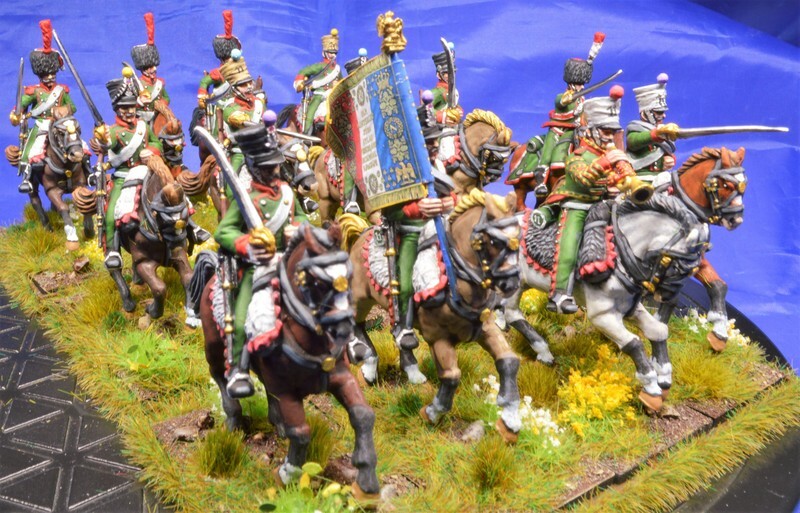 Wonderful - are these the new plastics or older metals? 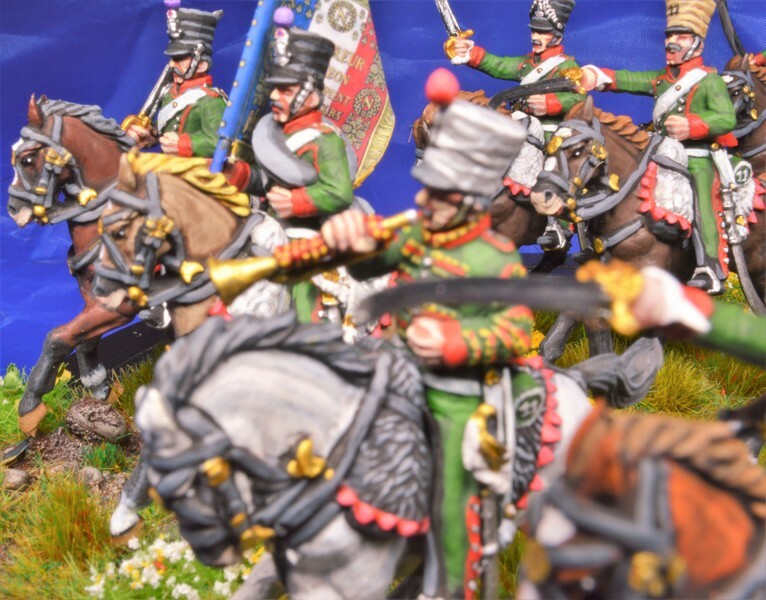 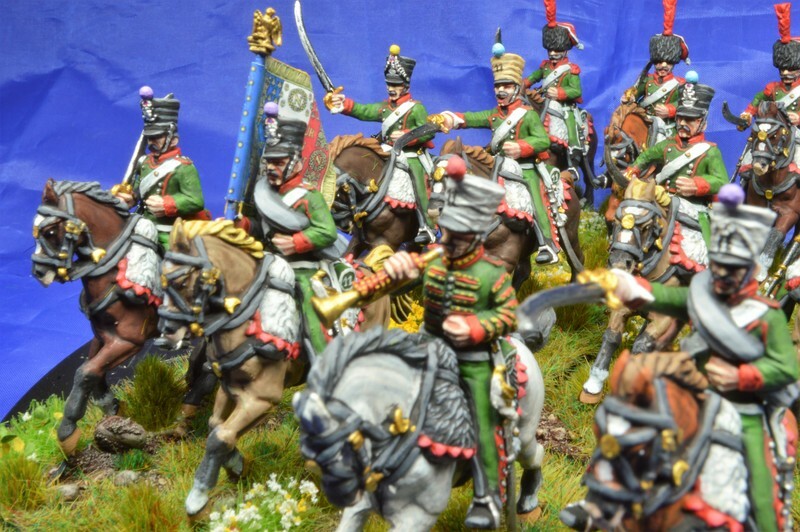 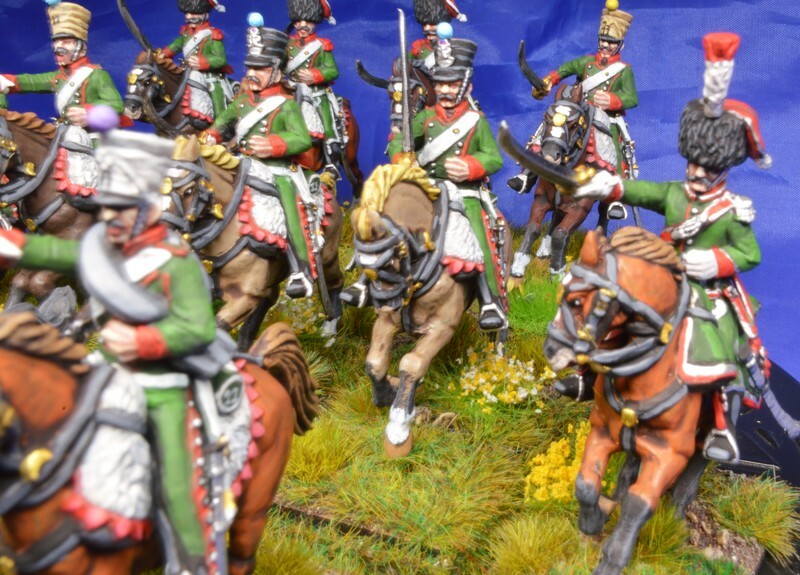 Great figures, wonderful paintwork and splendid picture report. 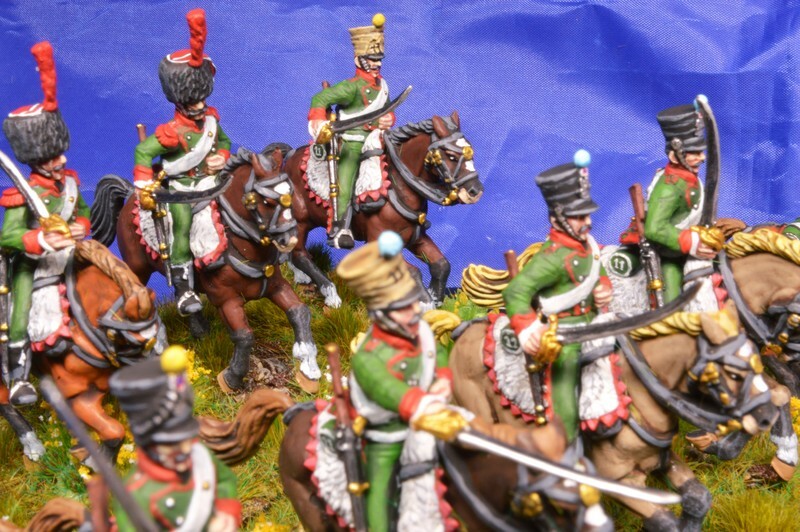 Gerry I wish you a lot of space on your attick, so can't stop painting this beautifull figures! 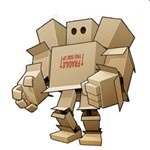 Great work like we used to see it from you with much pleasance.